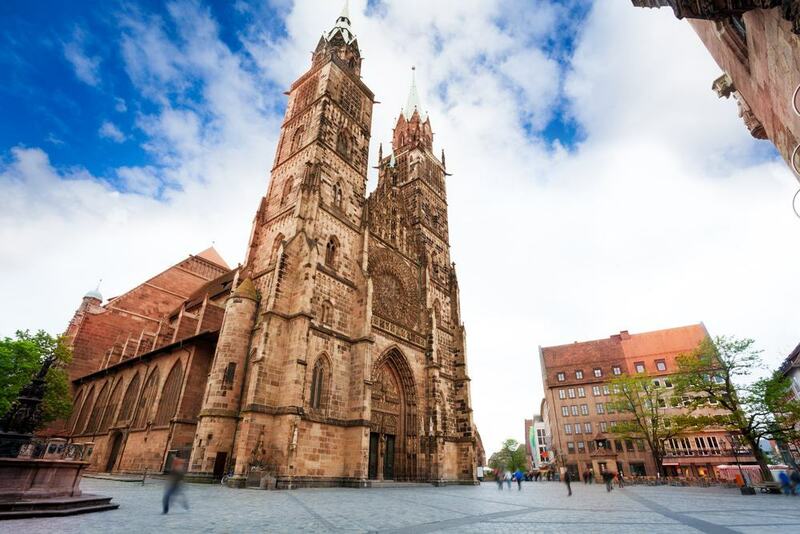 The capital of Franconia is a city that has lived through momentous world events, from the time of the Holy Roman Empire to the 20th century. The Altstadt (Old Town) is still encircled by walls, and is watched by the Kasierburg castle from a promontory on the north side. Nuremberg was an unofficial capital of the Holy Roman Empire, and the castle was paid host to official ceremonies for hundreds of years. Nuremberg is also a name associated with the Nazis, for the Nuremberg Rallies, racist Laws and Trials after the war. At the Nazi congress hall on the rally grounds is a powerful museum about Nazi regime, and Courtroom 600 at the Palace of Justice is where figures like Hermann Göring were tried. 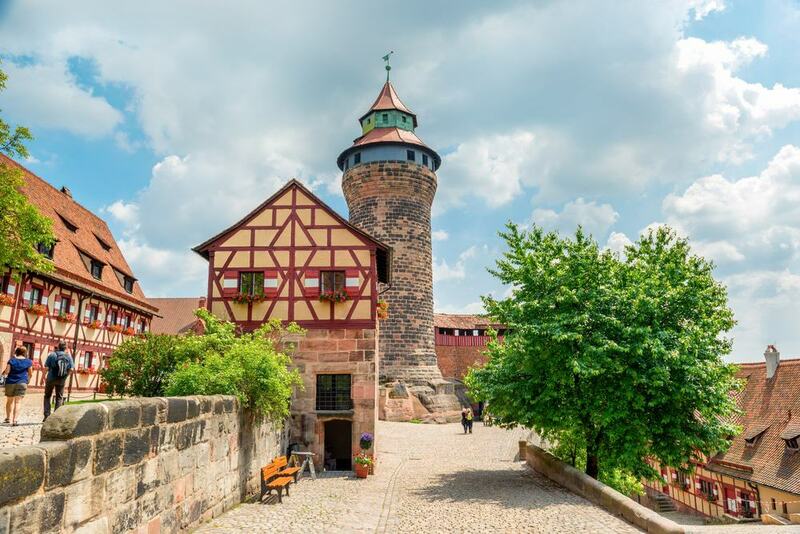 On the steep sandstone cliffs over the north side of Nuremberg’s Altstadt is a castle that carried real power in the times of the Holy Roman Empire. The imperial courts met here, and every newly elected emperor was obligated by decree to hold his first Imperial Diet at Kaiserburg. The castle keep at the circular Sinwell Tower dates to the 14th century and is always a highlight. There’s an observation platform at the top floor where you can marvel at the best panorama of the city. Sheltered in half-timbered houses in the courtyard below is the Tiefer Brunnen (Deep Well), which bores 50 metres into the sandstone. 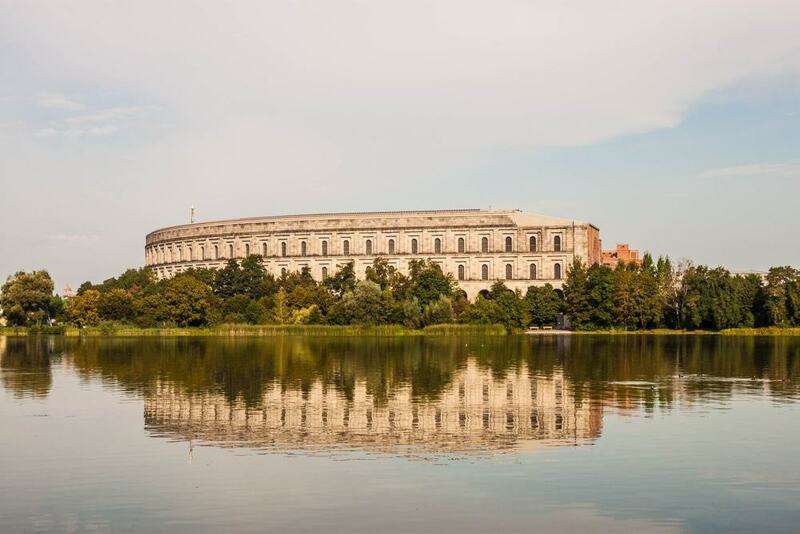 The Palas, which was used for the castle’s official functions, has been reworked several times since the Middle Ages and has a museum filling you in on Kaiserburg’s elevated position in the Holy Roman Empire. Nuremburg was important to the National Socialist regime because of its status in the Holy Roman Empire, and its central location in the German-speaking world. Even before they rose to power in 1933 they had chosen Nuremberg for their annual mass propaganda rallies. During the 30s they went about building a congress hall, one element of an unrealised master plan for the city. That hall, which is pierced on the north side by a modern metal-framed glass stake, contains the exhibition, “Fascination and Terror”. You’ll be walked through the causes, reality and aftermath of the Nazi regime. There’s extra depth on the Nuremberg Rallies, and the architectural plans for the city. Context is provided by eyewitness interviews, photographs, official documents and computer graphics. Courtroom 600 at the Justizpalast, where high-ranking Nazis were brought to justice between 1945 and 1949, is a still a working courtroom. It can be tricky to visit during the week unless you come between sessions. The best time of all is Saturdays, out of session, when English speakers can take a sobering audio tour of a room that resonates with history. 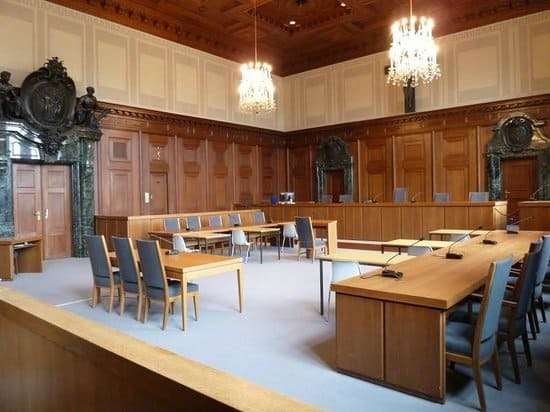 The top floor of the courthouse has been turned into a museum about the Nuremberg Trials, explaining the defendants and their crimes, and recording the lasting impact that the process had on international criminal law. The Germanic National Museum is a sort of treasury for the German speaking world, mapping its cultural past with over 25,000 exhibits. The galleries are in a complex partly made up of the Nuremberg Charterhouse, and are endowed with art going back to the medieval period, as well as decorative items, toys, armour, books, scientific instruments, clothing, musical instruments, liturgical treasures, prehistoric and ancient archaeology, toys, and that’s only a brief summary. Fair to say that you’re going to need to plan ahead if you want to do this museum in a few hours or even a day. Some art exhibits you can’t leave without seeing are Albrecht Dürer’s portrait of his mother, Dürer’s rhinoceros, Lucas Cranach the Elder’s portrait of Martin Luther and Rembrandt’s famed Wide-Eyed Self-Portrait. Looking at it from the north side you can tell how St. Sebaldus Church is in two halves. The west side, including the naves and towers is Romanesque and early Gothic, from the 13th century. The east side made up of the hall chancel is Late Gothic and was built around 100 years later. The 8th-century Saint Sebald is Nuremburg’s patron saint, and in the chancel you can view his tomb, designed in the 1510s by Peter Vischer the Elder, with Early-Renaissance bronze figurines depicting scenes from his life. That is one of many works of art in the church, like the Tucher family epitaph, stained glass windows and wood sculpture by the Renaissance virtuoso Veit Stoss. Like St. Sebaldus, this church, which was started in the 13th century was later given a hall chancel. That eastern section went up during the 15th century and is in the German Late Gothic style known as “Sondergotik”. St Lorenz Church was one of the first to become Lutheran, converting in 1525. But fortunately for us, it escaped the iconoclasm of the time, most likely because its wealthy patrons helped look after that art as it had been funded by their ancestors. The most valuable piece is Veit Stoss’ Renaissance carving of the Angelic Salutation and a beautiful tabernacle crafted by another eminent sculptor of the time, Adam Kraft. Nuremberg was the scene of the first German railway, the Bavarian Ludwigsbahn which ran from here to Fürth close by. So it makes sense that the city should have the national museum on this topic. 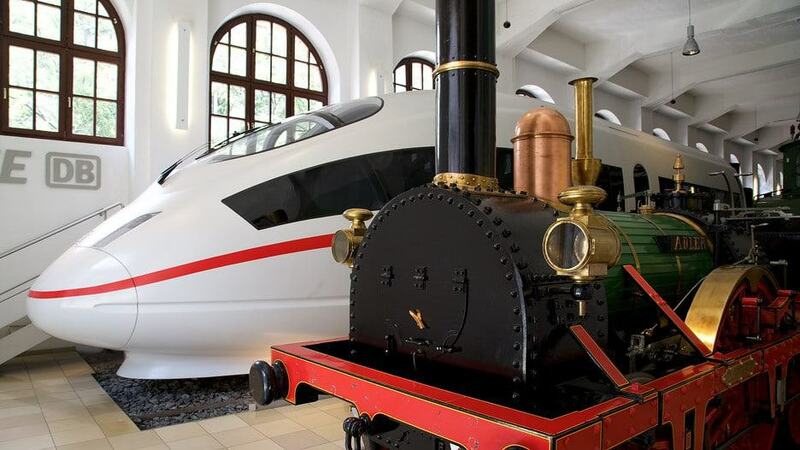 The attraction is also the oldest in the country and opened as the Bavarian Railway Museum in 1899. Some of the many captivating exhibits are sections from King Ludwig II’s royal train, the Nordgau locomotive from 1853 and a 1930s DRG Class SVT 877 from the Hamburg-Berlin line, the fastest rail connection in the world at the time. The first and second floors are for exhibits detailing bridge and tunnel construction, as well as 160 models dating back to 1882. On the stroke of the half hour you can watch a ten-minute demonstration of the 80-square-metre model railway. Arguably Germany’s greatest painter lived and worked at this timber framed townhouse in Nuremberg from 1509 to his death in 1528. As a historical document Albrecht Dürer’s House is unrivalled, as there are no other examples of a 15th-century artist’s house in Europe. The building suffered some damage in the war but was soon restored and the reopening was delayed until 1971, Dürer’s 500th birthday. Five storeys high, the house is one of the few burgher houses left from Nuremberg’s 15th-century golden age. The rooms are decorated with period furniture and a rotating exhibition of drawings by Dürer. A reconstruction of Dürer studio also demonstrates the printmaking techniques of the time. 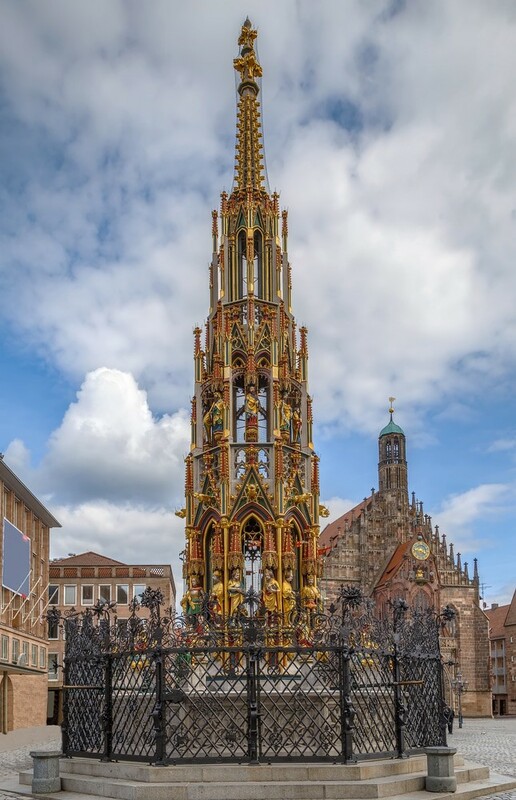 One of the wonders of medieval Nuremberg is a 19-metre Gothic fountain on the edge of the main market square. The fountain was crafted in 1385-1396 and was the work of architect and stonemason Heinrich Beheim. It was designed like a Gothic church spire and has forty polychrome figures on four levels, all evoking the “worldview” of the Holy Roman Empire. The statues at the bottom represent philosophy and the seven liberal arts, below the four evangelists and the four church fathers. Above these are the seven Holy Roman electors, and the Nine Worthies, who were idealised historical and legendary personages. And finally, at the top sits Moses and the seven prophets. In the Second World War the monument was wrapped in a concrete shell and came through unscathed. In the long history of Nuremberg’s fortifications, the city was only ever captured once: In 1945 by the Americans. These walls were first put up in the 1000s and got their current, streamlined appearance when they were modified for canons in the 1500s. Some four kilometres of the Medieval walls are still standing, and they incorporate the castle to the north and 67 defensive towers. The parapet is mostly open to visitors, looks out on the Altstadt and is covered by a timber-framed roof. That wall is also traced by a wide ditch, the Stadtgraben, one of the longest surviving in Europe and kept as gardens that you can also walk through. 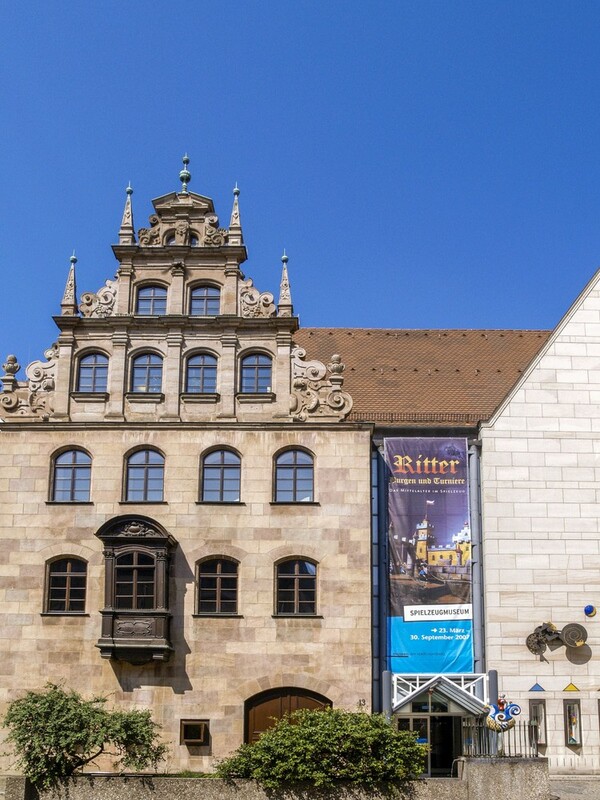 One of the finest houses in the Altstadt, and another stop in the Historical Mile is the Renaissance Hallersches Haus. The Burgher House is named for the family that established it in 1517, and has a gabled facade and timber-framed gallery around a courtyard. 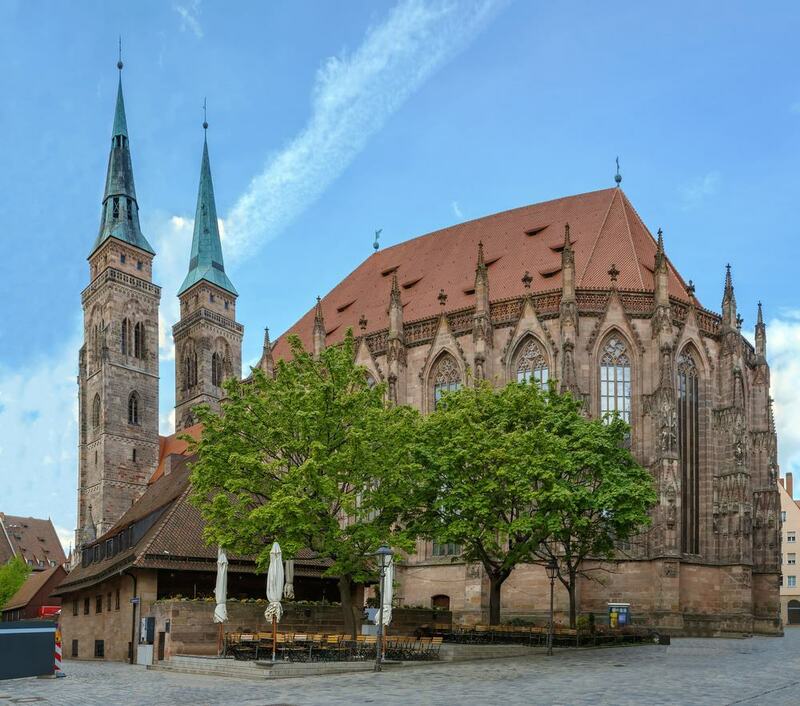 The museum inside celebrates Nuremberg’s status as a traditional toy-making capital in Germany and also opened on Dürer’s 500th anniversary in 1971. On the first three floors are pre-War games and toys like dolls, dollhouses, magic lanterns, wind-up figures and another model railway of impressive proportions. The top floor is all about toys since 1945 like Lego, Playmobil and Barbie, and has an interactive’ “Kids on Top” zone with building sets, table football and all kinds of other toys and games. 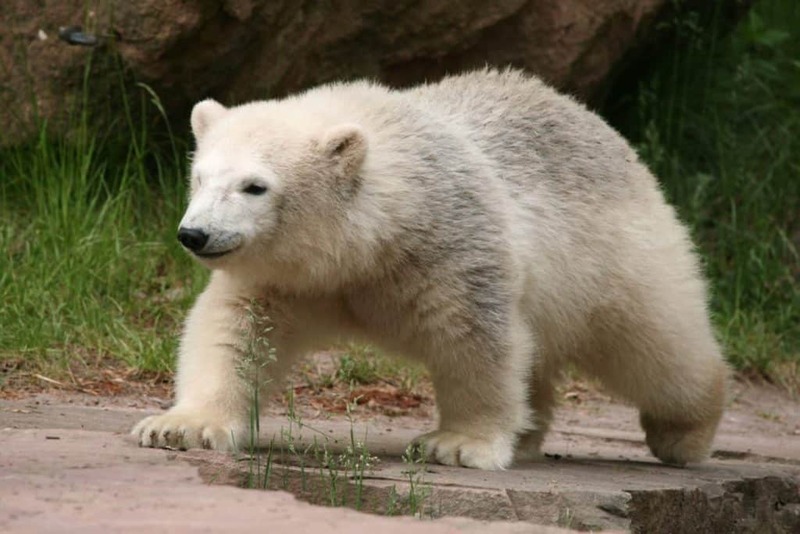 At 70 hectares, Nuremberg Zoo is one of the largest in Europe, and like the best zoos is always introducing new enclosures. The setting is a former sandstone quarry a few kilometres east of the Altstadt. Many of the old stone pits have been left as they are, as they serve as natural enclosures for species like Siberian and Bengal tigers. There are also large, landscaped environments where bison, giraffes, deer and zebras live in semi-freedom, and generous outdoor areas for snow leopards and maned wolves. One of the newer attractions is a bearded vulture enclosure with a 17-metre-high walkway, and the various indoor exhibits have poison dart frogs, caimans and a green tree python. 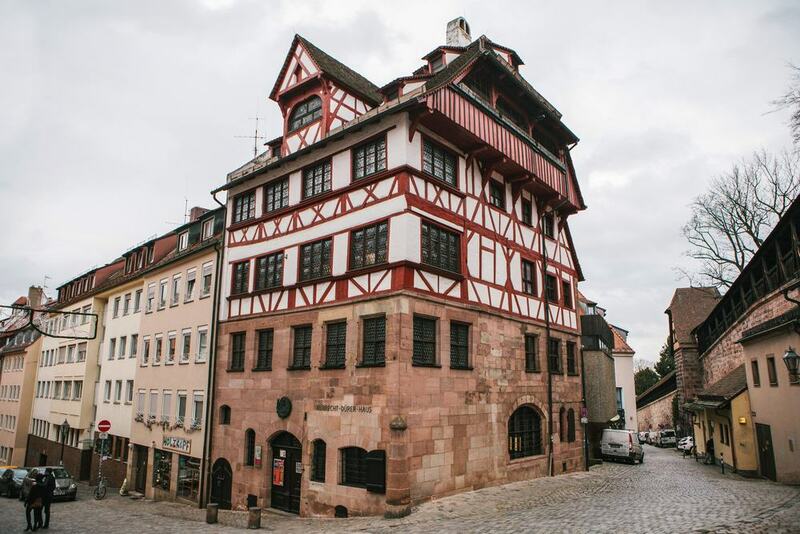 On Burgstraße, Fembohaus is a city museum in beautiful five-storey edifice going back to the end of the 16th century. 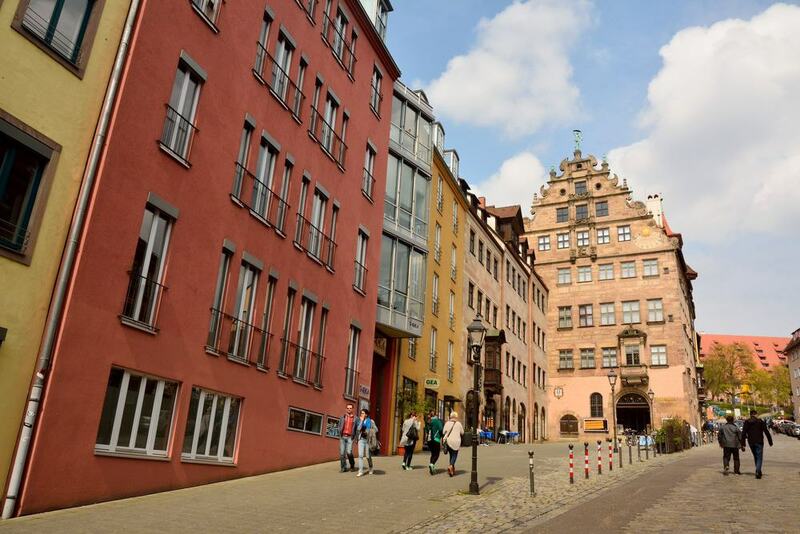 The Fembohaus was a family home and map-printing workshop, and is now a shortcut to the culture, customs and trades that flourished in Nuremberg over 950 years. There’s a listening station where you can hear three centuries of music composed in the city, a gallery of eminent artists and intellectuals, maps printed in the Fembohaus in the 17th century, while the entire second floor has rooms furnished in the period style of the 1600s. On the fourth floor is maybe the best piece of all, a hand-carved scale model of Nuremberg’s Altstadt as it would have looked when this house was built. 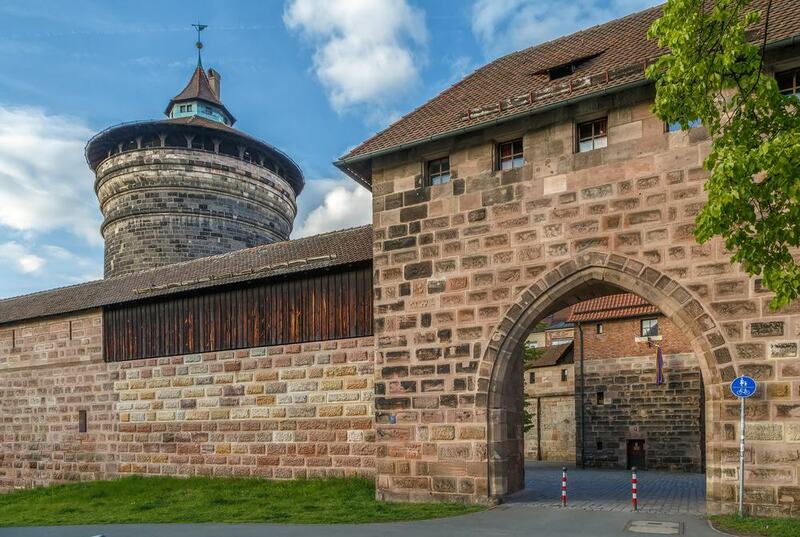 Over the course of centuries Nurembergers tunnelled into the sandstone bedrock in the north of the Altstadt to create a warren of passageways, cellars and water conduits. These add up to 20,000 square metres, and are mostly anchored in the city’s beer brewing industry. There were over 40 breweries in the city in the Middle Ages, and each one had its own cellar cut from the sandstone. As production increased the cellars grew and were joined up, and even today the Hausbrauerei Altstadthof still stores barrels of its Rotbier down here . Tours are available throughout the day in German, and once a week on Sundays in English, and finish with a Rotbier tasting session. 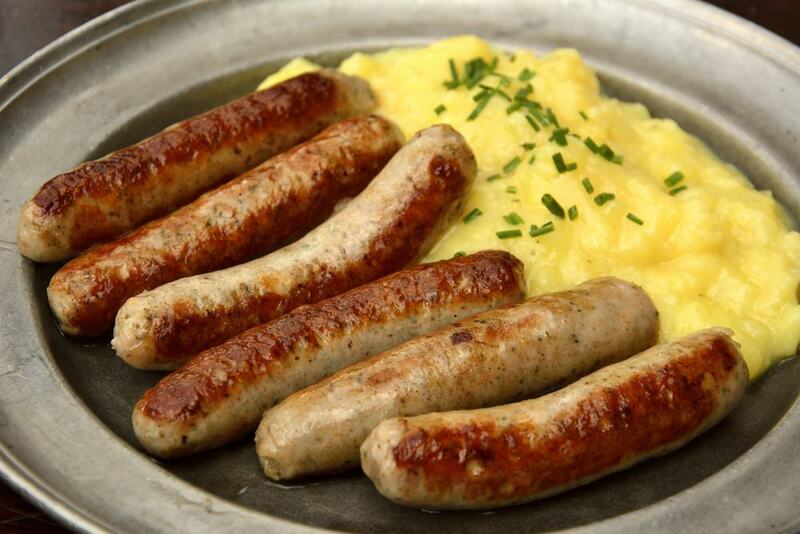 The local sausage is protected under EU law, so can only be produced in Nuremberg. Nürnberger Bratwurst has been produced in the city since 1567 and if you’re used to chunky German sausage, you may be surprised by how small they are. They’re usually about eight centimetres long and so you may get as many as six in a serving. The flavour is also like no other German sausage as they’re seasoned with fresh marjoram. Nürnberger Rostbratwurst is grilled over a beech-wood fire and then comes with sauerkraut, potato salad, horseradish, and don’t forget a generous pouring of Rotbier, or one of the hundreds of other Franconian beers.